Coconut oil has many health benefits including weight reduction, the prevention of illness and disease, anti aging effects, not to mention it’s good for almost every part of you – including your hair, skin, and nails. Consuming coconut oil helps your body build up the resistance to both viruses and bacteria that cause illness. Coconut oil also naturally helps fight off yeast, fungus, and Candida. It helps to improve insulin use within the body and it is also well known to positively affect hormones for thyroid and blood sugar control, which is perfect for the treatment and prevention of certain diseases such as diabetes. Coconut oil can help keep your weight balance because it has special fats called medium chain triglycerides or MCT. It is shown that the breakdown of these healthy fats in the liver leads to efficient burning of energy, and lowers body fat. In a study of women who consumed two tablespoons of coconut oil every day for 12 weeks their amounts of body fat were reduced, they did not gain any more weight, and heart health was improved. Coconut oil helps to boost thyroid function, boosting metabolism, energy, and endurance. Coconut oil also helps people lose weight by increasing digestion. Coconut oil has a saturated fat called lauric acid which increases the good HDL cholesterol in the blood to help improve cholesterol ratio levels. 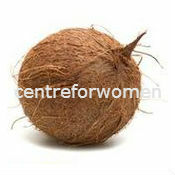 Coconut oil lowers cholesterol by promoting its conversion to pregnenolone, which is something our hormones need. Coconut oil also helps restore normal thyroid function. When the thyroid is not functioning optimally it can contribute to higher levels of bad cholesterol. Coconut oil, no matter what your age is, is a perfect moisturizer for skin and hair. Coconut oil carries both antioxidants and vitamin D which has protective properties. It is best to use organic coconut oil on your hair and skin regularly. This helps to reduce the absorption of toxins and pesticides through your skin. Coconut oil is even great for babies, leaving them nice and soft and it has added health benefits. Coconut oil is literally the perfect ingredient for weight loss, illness and disease prevention, overall well-being, anti aging, as well as a hair and skin moisturizer. Coconut oil is quite safe even in large amounts. 1 to 2 tablespoons of it per day is shown to be the most beneficial amount of coconut oil. You can use coconut oil to cook with, to bake with, to moisturize with, and to mix into drinks, the use of coconut oil is virtually endless.